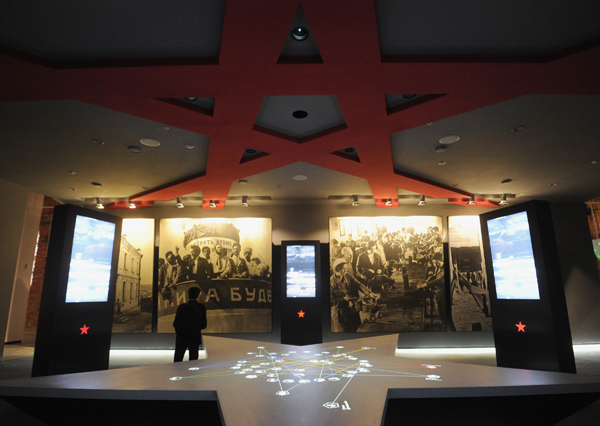 Russian Jewish Museum and Tolerance Center. UNESCO has recognized the work of the Russian Jewish Museum and Tolerance Center and will honor it with the prestigious Madanjeet Singh Prize, for spreading tolerance and non-violence, the center pres service told TASS. "The fact that the Federal Scientific and Methodological Center of the Psychology and Teaching of Tolerance became the recipient of the UNESCO-Madanjeet Singh Prize is a very honorable evaluation of all that we do. But aside from that, it is also a sign of recognition by the international community of Russia’s potential and active position when it comes to spreading the ideas of tolerance," said Alexander Boroda, the head of the center in a statement. The award ceremony is scheduled to take place on November 16 - marking UNESCO’s International Day of Tolerance at its Paris Headquarters. Boroda added that the prize will inject the center’s work with added drive and dedication. The UNESCO-Madanjeet Singh Prize for the Promotion of Tolerance and Non-Violence was established in 1995 ahead of the United Nations Year for Tolerance and the 125th anniversary of the birth of Mahatma Gandhi. According to the organization’s website, it was also the same year that UNESCO Member States adopted the Declaration of Principles on Tolerance. In July, UNESCO held a conference on migrant adaptation issues and the Tolerance Center was chosen to help put together a relevant program for Europe. The center is currently working on tolerance lessons in 6 different languages for 10,000 UNESCO affiliated schools in over 180 countries.